Affiliate World experience is coming to China in 3 cities namely Shenzhen, Shanghai, and Beijing. 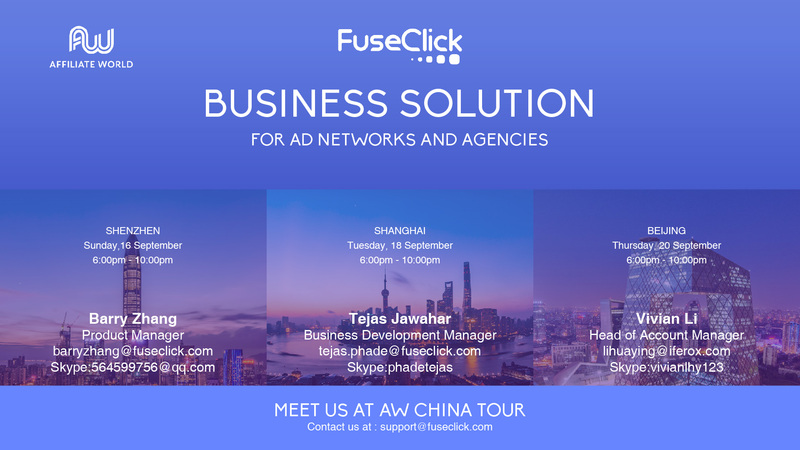 FuseClick is official AW partner in China. Come and join us at this wonderful networking event. FuseClick – Clicking ahead in MarTech 5000 FuseClick wishes you a merry X’mas and Happy new year! FuseClick wishes you a very successful New Year 2018!